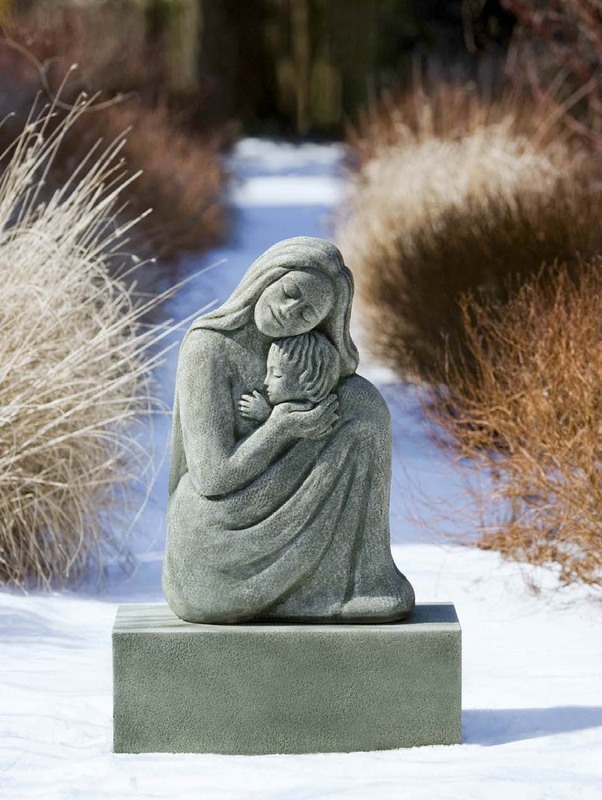 The Mother and Child Garden Statue atop a rectangular plinth is crafted in cast stone. This elegantly detailed statue depicts the loving bond between mother and child. Seated gracefully upon the rectangular plinth, the mother gently embraces her child. The Mother and Child Garden Statue represent the highest level of design, engineering, construction, and materials. L 13.5" W 9" H 32" | 140 lbs.